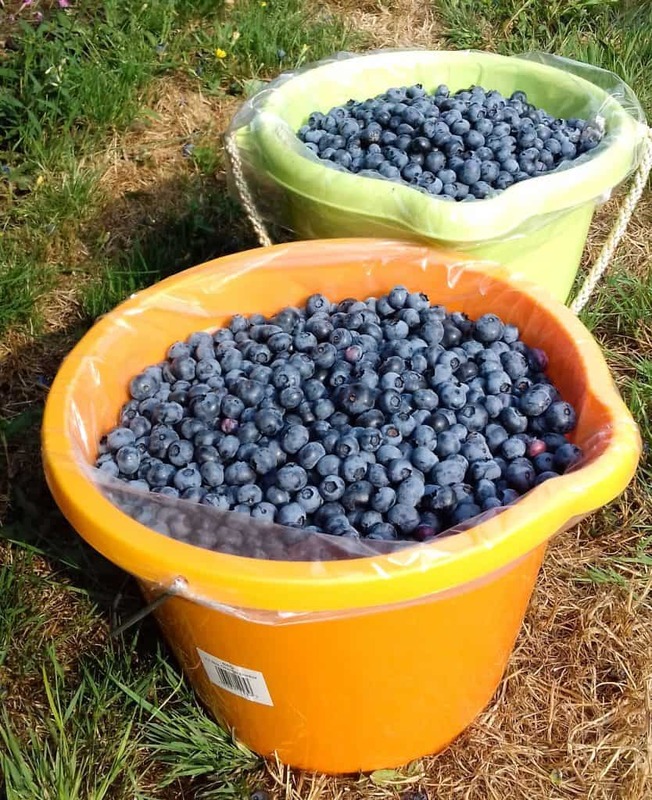 BlogHome » Blueberries, From Farm to Fork…..
Blueberries are one of our key ingredients and here at The Old Bakery we go out of our way to buy as much as we can direct from the local food producers. We drive to Grange Farm to buy our Yogurts, Another farm for our eggs, one butcher for his sausages and another for his own reared, cured and smoked bacon & black pudding. The kippers come from the smokehouse itself and wholemeal flour from the watermill. Stawberries from the growers at Sharrington and Plums for our jams and chutneys from the specialist growers near Holkham. When we can’t make our own bread then we buy from one of the best bakeries in Norfolk which just happens to be in Briston the next village. We buy our crabs for our famous crab salad direct from the people who catch them. 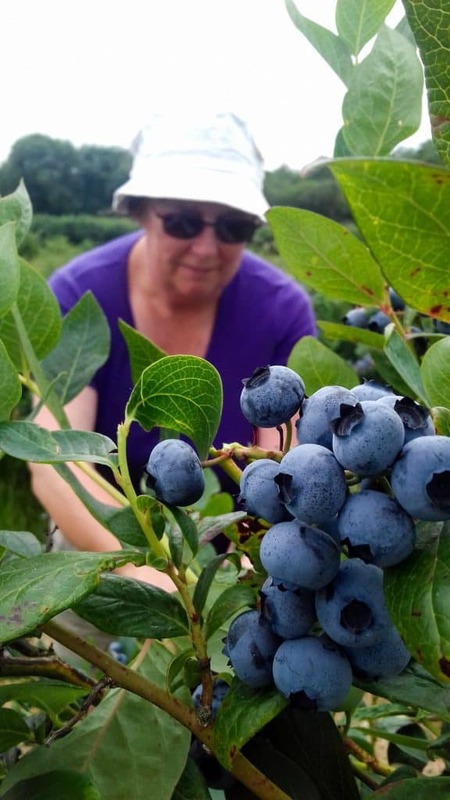 A little further afield we take an annual trip to the Norfolk Blueberry fields and pick the years supply of Blueberries that accompany our breakfast pancakes, cheesecake topping and other items like our blueberry cakes. This year the crop was absolutely fantastic not seemingly affected by this unusually dry summer. We picked about 30lbs of blueberries doing ‘quality control checks’ as we went. I admit that I was a little concerned about antioxident abuse or indeed suffering extreme bloating and being taken away like Violet in Wonka’s factory by theOompa-Loompas to be Juiced. At the very least I didn’t want to have a blue tongue check on returning to the pay point. Of course goody shoes Alison behaved having just one or two to check for sweetness. 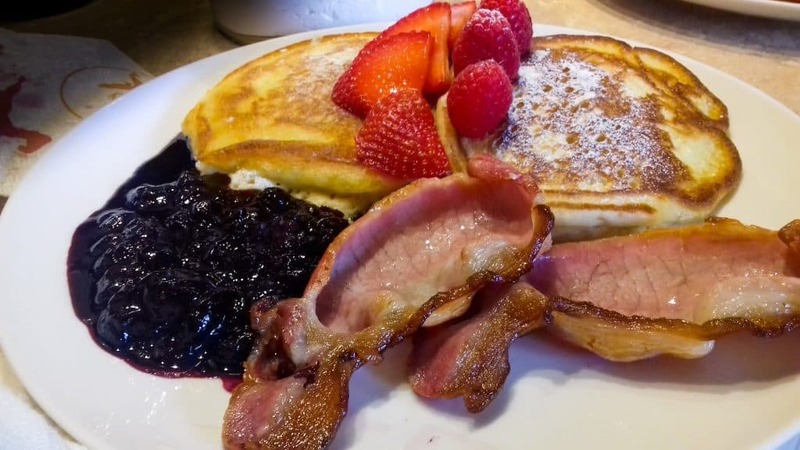 This morning two of our guests had the American Pancakes with Smoked Bacon and Blueberry compote made from fruit that had been plucked from the bush just the afternoon before. Coming soon….. The Cherry crop and what we did with it!